Do You Need to Write a Lab Report? Rely on Us! Lab report writing comes after you have done the required experiment. They form an essential part of your grade and can be included in lab notebooks or submitted independently. Usually, instructors provide outlines for reports, but if you don’t have one, you can always find a template online. Title page that includes the title of the experiment performed, your name and the names of your group project members, your instructor’s name, and the date of submission. Title – this is what any laboratory report hooks on. The title explains what kind of experiment you performed and what was its main point. Introduction – a part that explains the purpose and the objectives of the laboratory experiment. Sometimes it also includes some background information. It then goes on to summarize the experiment, describe the findings, and list the conclusions. 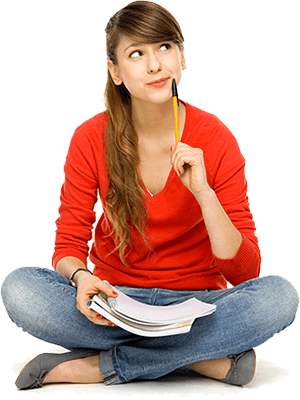 Materials – probably the easiest part of writing lab report. You simply have to list all the things you needed to complete the experiment. Methods – what steps did you take to complete the experiment? It should be sufficiently detailed for anyone to be able to repeat your experiment. Data – figures obtained in the course of your experiment, usually presented in the form of a table. Results and Discussion – a very important part to write lab report that actually matters. This is where you should interpret the data you’ve obtained, explain what they mean for your hypothesis. Conclusions – a single paragraph that summarizes what happened in the experiment and if your hypothesis was correct. Figures and Graphs – additional materials that must be clearly labelled. This is a generic structure of a lab report, so you should use a specific one (if any) given to you by your instructor. Sometimes when you have taken all the steps required for your experiment and proved your hypothesis right or wrong, it can be daunting to complete the project, and understandably so. What’s fun about paperwork? This is where we step in. Of course, you can use the structure we have provided above and write a lab report yourself. Or, you can leave the daunting part to us. We’ll document your research and make sure it meets the requirements. Your work will be 100% plagiarism-free. We’ll document all sources used to write your report and create it from scratch. We’ll deliver on time. Set the deadline and we’ll meet it gladly. 100% of our orders are delivered without delays. Unlike you, we can afford to spend time writing lab reports! Be a strategic thinker. You have already performed the experiment – why do the boring part? Let us help you out – we can afford to spend some time on it. To order our assistance, please fill in and submit the order form. Once we receive the details of your task, we will start working! Save time and do the important things, while we’re working on your report. It’s what smart students do!